I picked up a Fox Trac Centrum and a Fox Trac Special in Montana in 2008. Over the years I started and stopped restoring the Centrum. 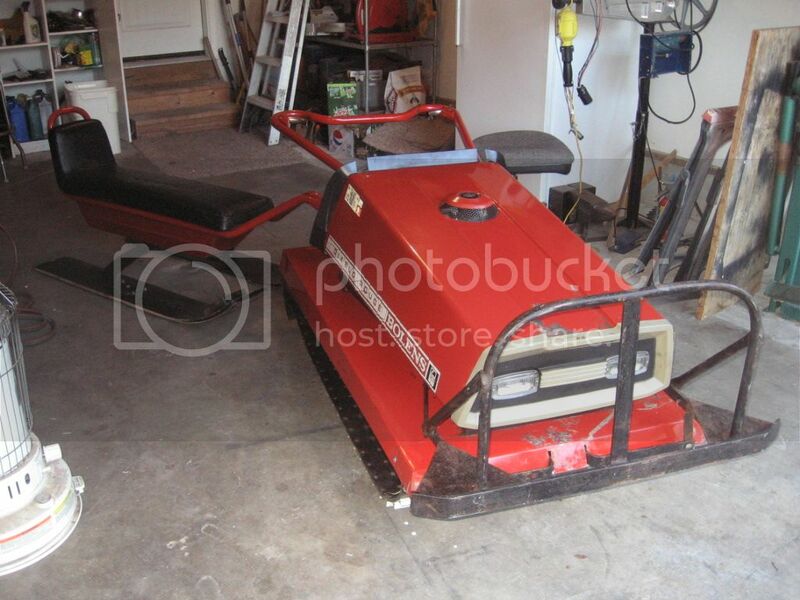 Now the Centrum is finished and ready to take out and try on the snow. I managed to find a right engine, made a wiring harness, and found all the parts needed to restore it. I worked with The Sled Printer to who made a very nice decal set that matches the original factory decals. 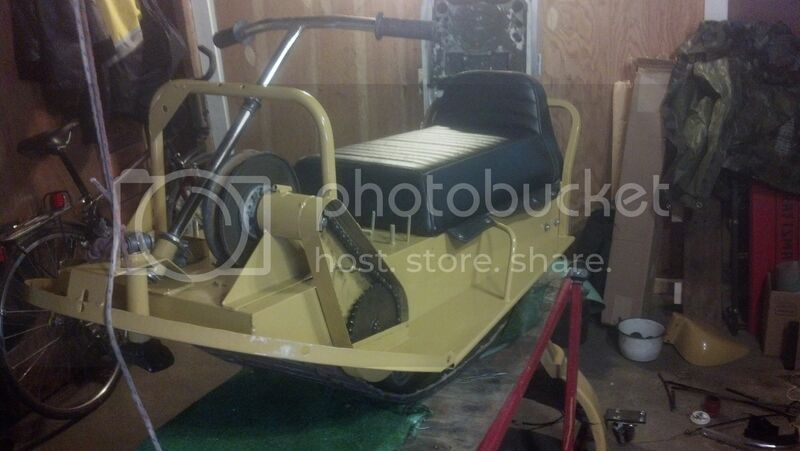 After disassembly, de-rusting, sanding, painting, and some fabrication it is now ready for the snow. Craig finished the cart for the trailer of his Diablo Rouge. It looks like it is moving just sitting there! The WAAAM is next weekend, so I best be getting it done. Our newest member Craig finished working on the Bolens Diablo Rouge for the Fish Lake ride on January 17. I found this Shrew at the Washington State Expo in Puyallup this fall. It is hard to find a Ski-Bird. But it is very hard to find one with a good 15" track. 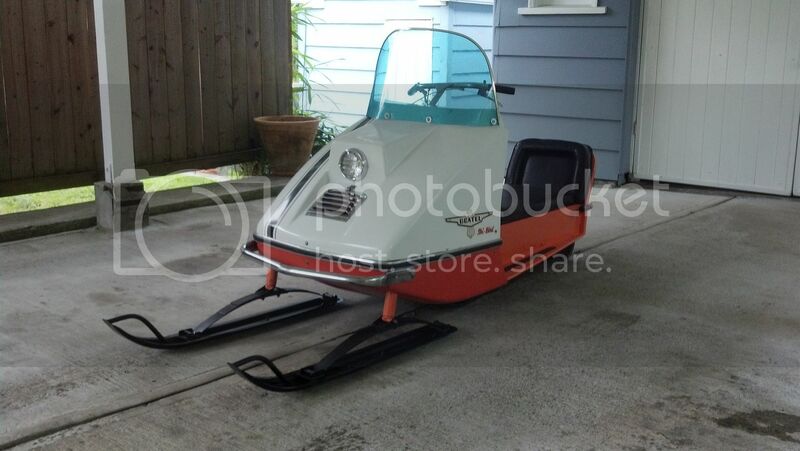 It took a while, but I found this 1969 'Ski-Bird 15' in great shape. It was sitting since 1972, and last registered in Utah. 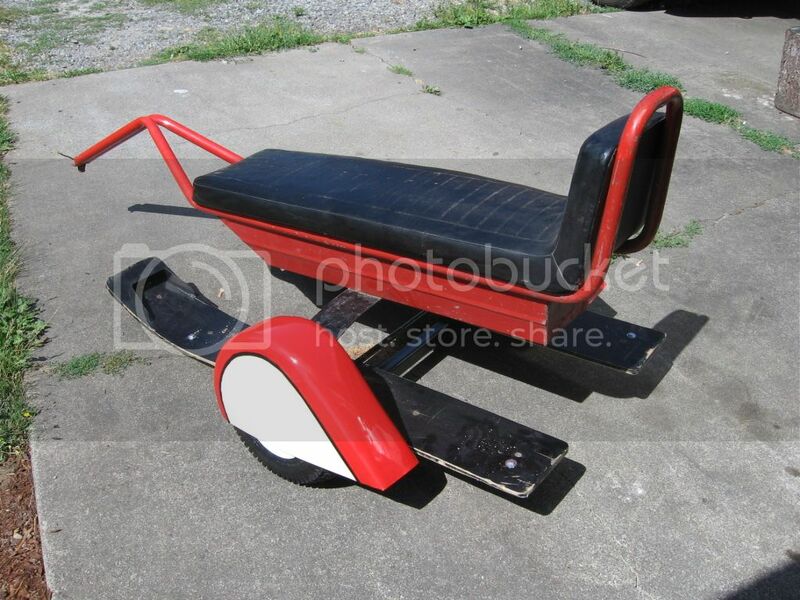 I bought it in Yakima, WA from a fellow who got it for back rent on one of his storage units. He let it sit another 15-years at his business until I brought it home. I first thought to show it as an 'Original Survivor Class', but in the end I could not resist restoring it back to original. Over the years the hood had yellowed, and paint faded into several different shades. Still it was in excellent condition, and an easy restoration. 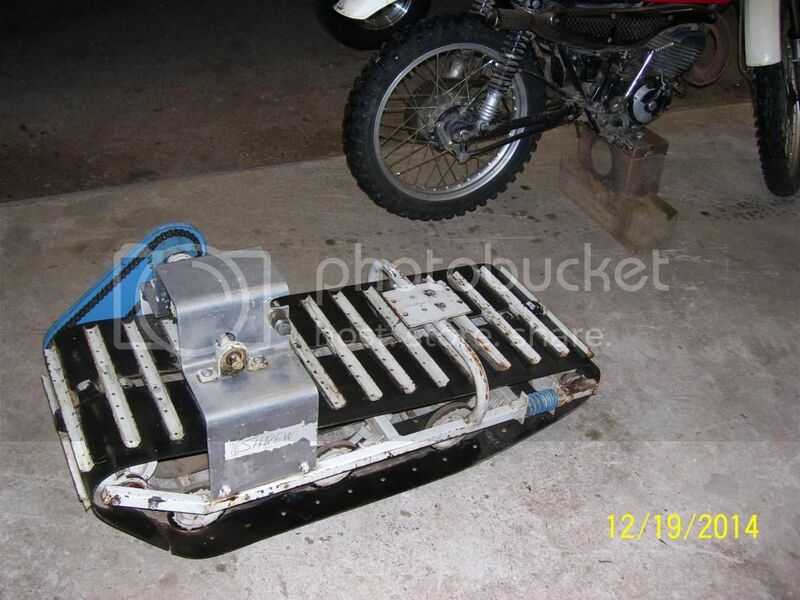 The fuel tank had no rust, and the funky fuel cleaned out easily with lacquer thinner. Chrome was in new condition. A great find. I plan to ride it some but mostly have it in my collection of 'Birds' and the Grand Prix. 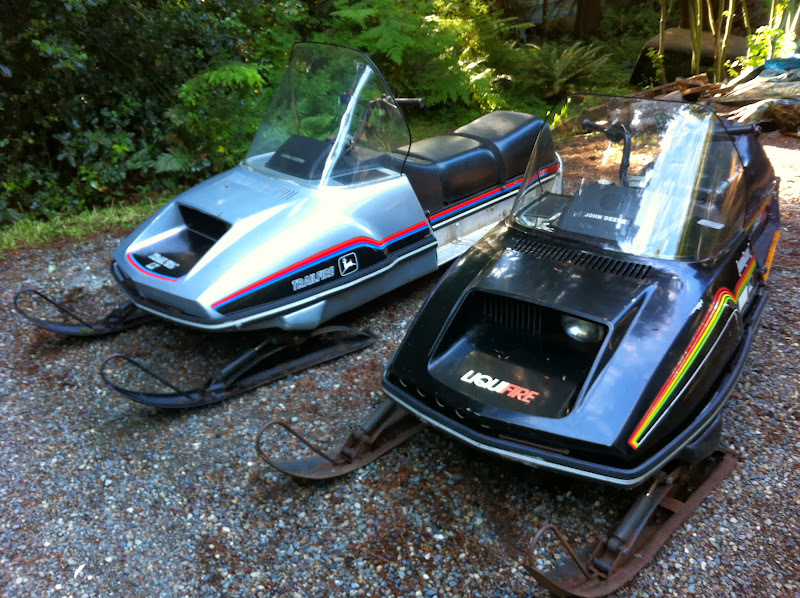 Boatels are funky old sleds that did not make it big in the snowmobiling world. But they are unique and fun to get back on the snow.